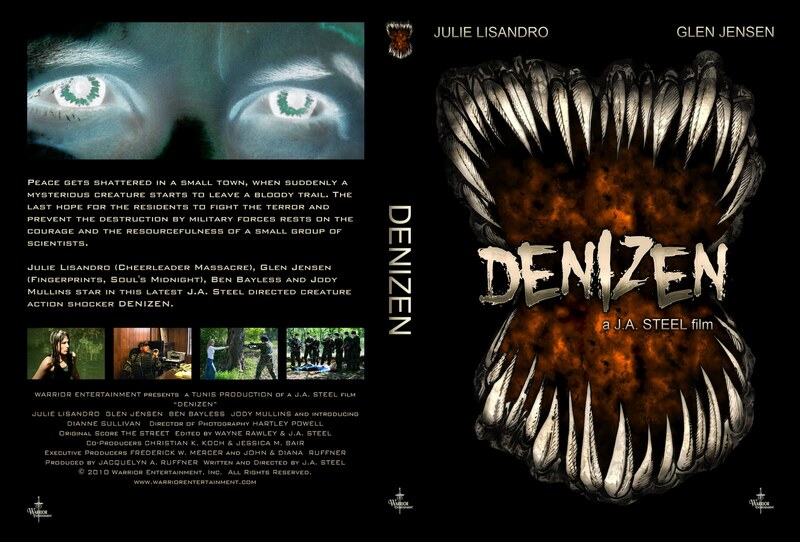 The Denizen DVD artwork from director J.A. Steel is available here. 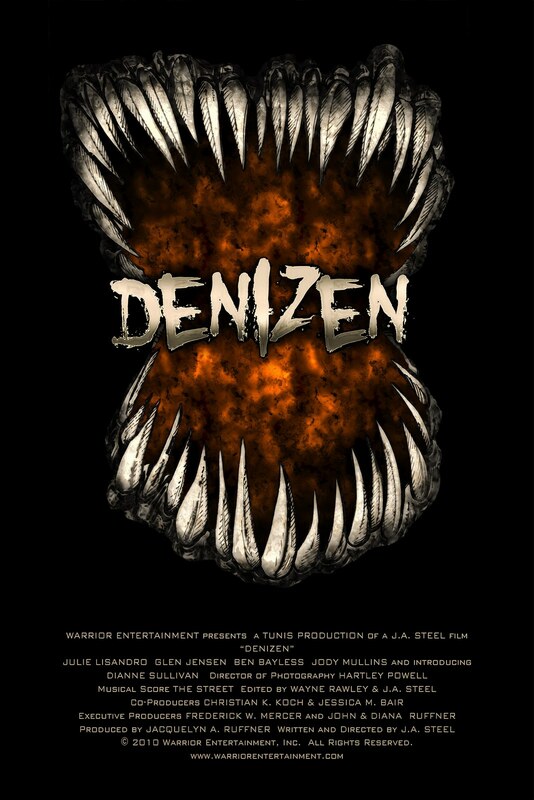 The film is also available on IndieFlix and on DVD. This self-proclaimed "Roger Corman of the 21st Century" has developed a creature feature in which biologists must fight "the contamination of a nearby lake" (Denizen). The synopsis and film location details are below. "Peace gets shattered in a small town, when suddenly a mysterious creature starts to leave a bloody trail. The last hope for the residents to fight the terror, and prevent the destruction by military forces, rests on the courage and the resourcefulness of a small group of scientists. The townsfolk, led by Callie Calhoun (Julie Lisandro) enlist the aid of marine biologist Dr. Dallas Murphy (Jody Mullins) to find the source of water contamination in a nearby lake. 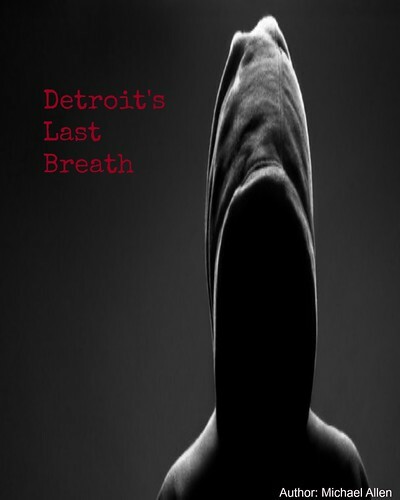 Dallas finds more than he bargains for when the mutilated bodies of locals begin turning up by the lakeshore. Dallas calls in the help of two old army buddies, US Army geneticist Dexter Maines (Ben Bayless) and First Lieutenant Sierra Deacon (J.A. Steel) to help him track down the creature and the source of the contamination. Led by Dallas' old commander, General Jernigan (Glen Jensen), the military shows up surprisingly fast and declares martial law. It is then a race against time to track down the creature, before Jernigan orders the town destroyed. Cast: Julie Corgill, Jessica M. Bair, Ben Bayless, Dianne Sullivan, and Glen Jensen.